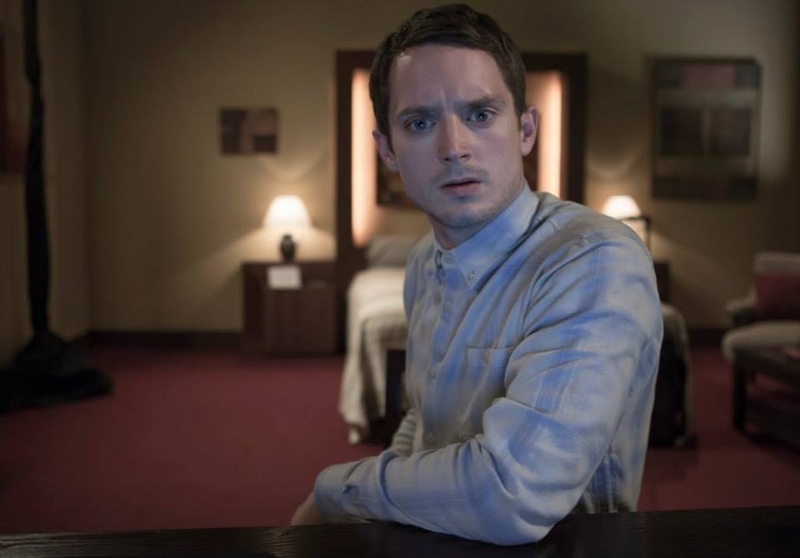 Open Windows is Spanish director, Nacho Vigalondo’s first-English language film, starring Elijah Wood and Sasha Grey and what a 90-minute thrill ride it is! The movie is is a fast-paced high-tech thriller with tons of action and intense suspense. The movie starts with Nick (Elijah Woods) in a hotel room in front of his laptop watching his favorite actress on a live feed at a conference for her latest film. Without giving too much away, Nick discovers that he’s won a dinner date with his favorite star Jill Goddard (Sasha Grey) and is ecstatic to get a chance to meet her. However, his excitement soon diminishes when Jill denies him his chance and chooses not to honor the dinner date. All of Nick’s hopes are shattered. As he sits in his hotel room waiting for a chance to meet Jill, he suddenly gets a message on his laptop from Chord, Jill’s “campaign manager,” who offers him something fascinating and irresistible: Chord convincingly offers Nick the ability to view Jill constantly via computer. In other words, Nick can see her and listen to every conversation she has live. At first Nick is hesitant but is soon persuaded by Chord by saying that he should at least get some entertainment out of the actress since he had put in effort to meet her. Nick relents, figuring he’s going to get some good pictures and have a bit of fun. He doesn’t realize that both he himself and Jill are in grave danger. The action throughout most of the movie is followed on the screen of a laptop which is connected to the internet (got to love WI-FI). It’s basically a new era of handheld-camera-footage movies, that were huge in films like Paranormal Activity, Cloverfield, and The Blair Witch Project. Instead of simulating a video camera, a computer becomes the movie screen, and the watcher becomes the protagonist in this thrill ride of adventure. Open Windows is an exciting movie with a drawn-out climax and strong tension full of mind-blowing twists. Just when I thought I figured out the movie it threw me for a loop and onto the next twist. Open Windows also has some pretty witty banter between Nick and Chord and a few other characters throughout the movie. Between the phenomenal acting from Wood, comedy, tension, and adventure, this movie kept me interested and certainly entertained from beginning to end. Open Windows played on July 18th 21:00 at Salle D.B.Clarke and July 23rd 21:45 at Salle J.A. de Seve as part of the Fantasia film Festival.